(b) The learner will correctly secure the vehicle to avoid rolling. 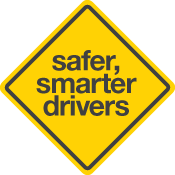 The learner will demonstrate compliance with road craft concepts at least 80% of the time (see The Driving Section) and compliance with the law during the assessment without assistance. (a) Perform all steps 1(a) to 5(a) in sequence. (b) Cancel any signal after stopping.